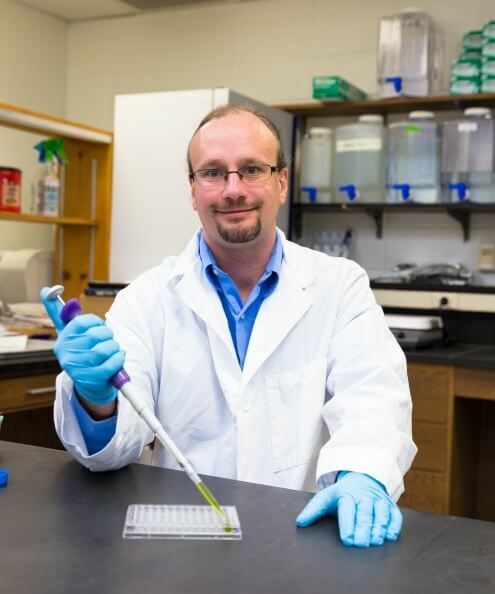 Michael Gonda is an associate professor in the Department of Animal Science at South Dakota State University. He has been on the faculty at SDSU since 2008. He graduated with a Bachelor of Science in animal science with a genetics minor from North Carolina State University in 1999, a Master of Science in dairy science from the University of Wisconsin-Madison in 2003 and a doctorate from the University of Wisconsin-Madison in dairy science in 2006. Gonda also worked as a postdoctoral research associate from 2006-2008 in the Department of Animal Science at NCSU. His primary research interests are in beef cattle genetics and breeding. He is a member of the American Society of Animal Science and served as a section editor for the Journal of Animal Science.